Many people work behind the scenes to ensure that Huskie safety is at the forefront. That includes member of the Violence Against Women Act (VAWA) Implementation Committee and the Violence Against Women Task Force. Since NIU’s consent policy was officially adopted, only “yes means yes” when it comes to initiating sexual encounters. Here’s more about it from VAWA steering committee member and NIU Police Sgt. Dathan Jackson. 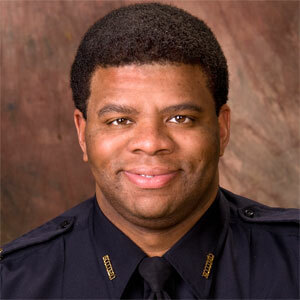 Jackson served on the VAWA committee as a representative of the NIU Department of Police and Public Safety. He is optimistic that the implementation of the VAWA will not only raise awareness, but will have a positive impact on NIU. If these incidents do occur, Jackson said, NIU will continue to ensure there is a prompt, fair and impartial investigation and resolution. This is the fourth in a series on the faculty, staff and friends behind NIU’s consent policy.